People on the autistic spectrum may struggle to recognise social cues, unfamiliar people or even someone’s gender because of an inability to interpret changing facial expressions, new research has found. Dr Justin O’Brien, from the Centre for Research in Infant Behaviour in the Department of Psychology at Brunel University London, and one of the authors of the study, said: “Existing studies have suggested that biological motion deficits are accountable for impairment in social cognition, but there has been little investigation of facial motion when discussing adults with ASD. 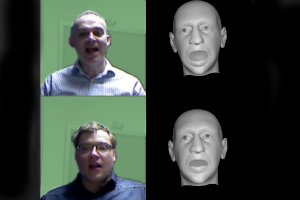 ‘Impaired perception of facial motion in autism spectrum disorder’ by Justin O’Brien, Janine Spencer, Christine Girges, Alan Johnston and Harold Hill is published by Plos One here.